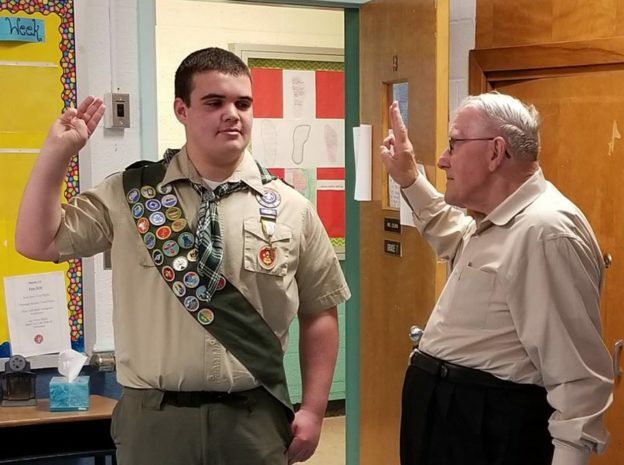 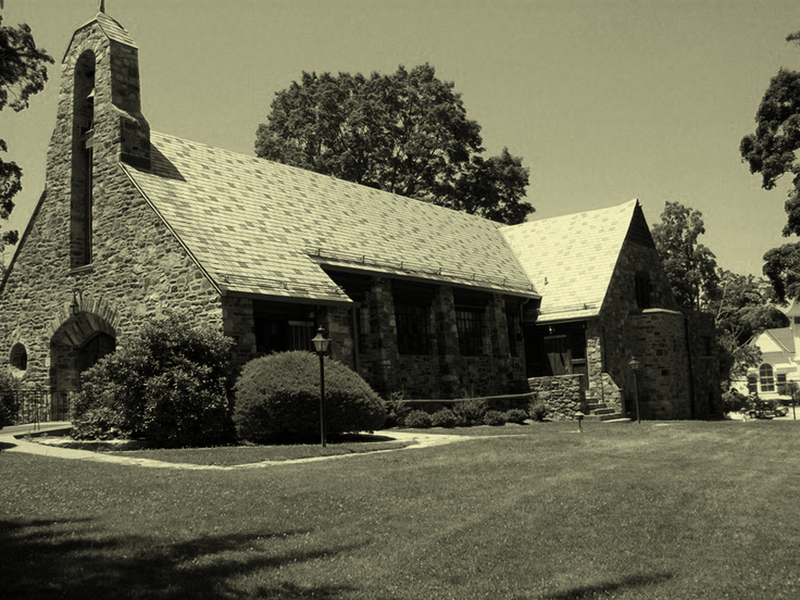 Orientation: Home / News & Upcoming Events / Announcement / Congratulations to Troop 173's Newest Eagle Scout, Ryan H! 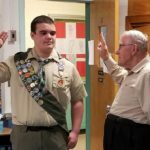 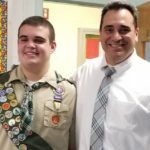 Congratulations to Troop 173’s newest Eagle Scout, Ryan H.
James is the 2nd scout to earn his Eagle in 2018 and the 96th young man from Troop 173 to earn the Eagle Scout Rank. 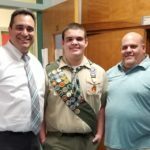 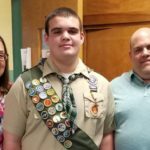 For his Eagle Scout project, Ryan designed and built platform step-benches for the classrooms at St. Patrick’s School, designed to help the children access the blackboards and to provide extra seating for larger activities.